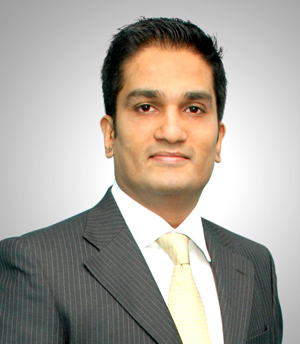 According to Ramesh Nair, Managing Director of Jones Lang LaSalle India, the office market in Mumbai has displayed resilience in the recent past. 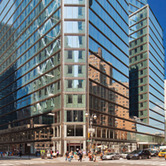 Despite negative press, high interest and inflation rates, the city's office market fundamentals continued to improve. This was assisted by strengthening business conditions, strong economic performance, improving property market dynamics and increased corporate hiring. Nair tell the World Property Channel that the consequences of the global economic slowdown have been subdued by expansion, relocation and upgrading demand, offering relief to its various stake holders. Many Indian and multinational companies have made significant fresh recruitments over the last few months, contributing to the office space take-up in Mumbai. Nevertheless, the market by no means matches the boom period in 2007 when the vacancy rate stood at just 2%. After peaking in 2008, Mumbai office property rentals fell for two consecutive years and are currently 38% below the peak. This has its upside. A number of tenants are taking advantage of the situation to relocate or consolidate. In fact, there has been a notable rise in inquiries on this front over the past three quarters, which has resulted in increased transaction velocity. Currently the office vacancy rate has increased to 19%, marking 14 consecutive quarters of increased vacancy. 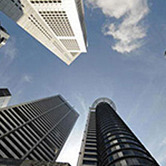 Grade A office real estate stock in Mumbai is currently at about 67 million square feet, with a vacancy of approximately 13 million square feet. This is far from optimal - nevertheless, the increased absorption has created an atmosphere of hope. 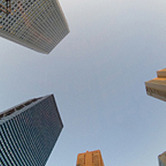 Developers and investors of commercial real estate are seeing real light at the end of the dark tunnel that was the 2009-'10 economic slowdown. 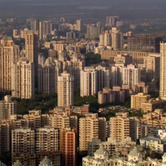 The two quarters of 2011 was a record first half for the Mumbai office real estate market, with approximately 5.5 million square feet of office space being absorbed. Mindspace in Airoli, Navi Mumbai accounted for a large chunk of this absorption. 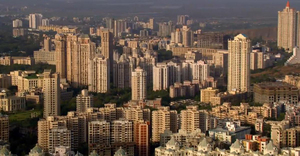 Rentals have not increased, because Mumbai's office property market is in the midst of a major supply cycle that is focused mainly in the Central SBD, Western suburbs, Thane and Navi Mumbai. Major office real estate transactions in the CBD included Aon Global leasing space in Chandramukhi Building and Bank of America leasing space in Express Towers. Major transactions in the SBD (Secondary Business District) included Yes Bank leasing space in Indiabulls Finance Center Tower 2, Johnson and Johnson Leasing space in Oberoi Commerz 1 and Sitel leasing space in Boomerang. Major transactions in the PBD (Peripheral Business District) were Sterling Testing leasing space in G Corp IT Park and Cargotec and Henkel leasing space in Kesar Solitaire. 73% of the absorption was seen in the Peripheral Business Districts, while 26% was in the Secondary Business Districts. 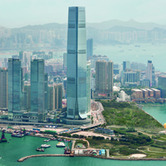 The Mumbai office market saw positive sentiment and yield compression despite the high vacancy and lack of liquidity. The yield levels have currently stabilized at around 11 %. While the market held its breath in anticipation of distressed properties hitting the market, the actual incidence of such deals was minimal. The fact is that office property capital values recovered ahead of rentals as investment activity strengthened on the back of the recovery phase and the return of positive sentiment. As the gap between buyers' and sellers' expectations narrows, a number of investment transactions have begun happening. There has been a marked increase in the sale of small units to professionals, HNI's and smaller businesses. In fact, well-capitalized HNIs with sufficient equity clout have realized that there are extremely good deals available and are re-entering the market in a big way. Because of the excess supply of office real estate, only a handful of new commercial property projects have been launched in Mumbai over the last two quarters. The self correction phase has started with developers slowing down the construction of their commercial projects and converting some of them to residential. It is quite clear that the current market scenario in Mumbai currently favours occupiers, and this is an excellent time for corporates to take advantage of this fact by relocating their operations to better quality buildings at lower rentals or sale values. Given that commercial rents in Mumbai are at the same level as they were in 2006, many large users of office space can now use this opportunity to lock in the low rates. Demand for Mumbai office space should pick up over the next 12 months. However, Mumbai will see a lot of new supply over the same period because most projects which were launched before the GFC will reach completion in this time-frame. In other words, it is unreasonable to expect a full-scale rental recovery this year. 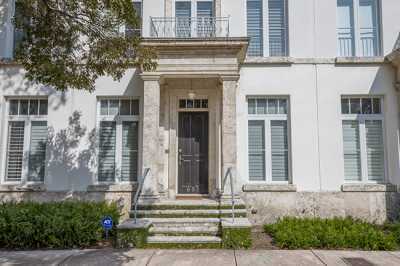 The market is expected to reach the 2008 peak rentals only by 2014. Although it is still early to say that the market is seeing a full fledged rebound, it definitely looks like recovery time in terms of demand, which will increase over the next 12 months. The demand for office space in Mumbai in 2011 is expected to be around 8-9 million square feet. Leasing activity is expected to see an upward trend in the next two quarters, with both enquiry levels and transaction velocity picking up. Given that the cost of project finance has increased dramatically, the amount of speculative office development will reduce. Some micro-markets will witness further downward adjustments until the excess stock is absorbed. However, the rate of decline has maxed out over the last two years and there will be no significant falls. It is very likely that office space rentals will bottom out in most locations by end of this year. As new supply enters the market, vacancy rates will fluctuate, causing rental growth to decelerate. With global investors preferring comfort zones post the GFC, foreign capital inflow into Mumbai's real estate market is going to increase. While vacancy is likely to increase in 2011, the current healthy level of demand growth coupled with the ongoing conversion to residential and slowing down of construction trends will help to dilute the oversupply fear. 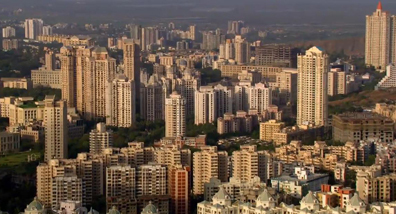 Developers in Thane and Navi Mumbai need to realize that their projects are not just competing with each other for attracting IT and ITES companies, but also with projects from low-cost cities such as Bangalore, Chennai, Hyderabad and Pune. Developers of projects in Andheri and Powai should acknowledge the fact that given the oversupply in Lower Parel, many developers there are likely to start offering aggressive rentals in line with Andheri and Powai. Given the increasing pressure to reduce overall occupancy costs, more companies will move from CBD to SBD locations such as Lower Parel and Andheri. Ackruti Solaris and Times Square in Andheri East (800,000 and 690,000 square feet) Nesco in Goregaon East (600,000 square feet).